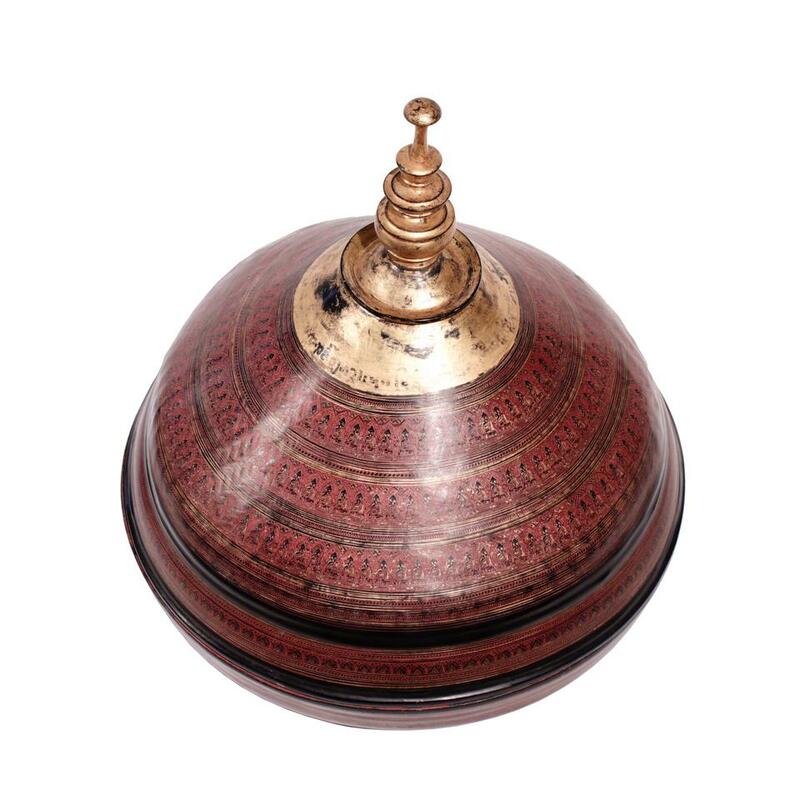 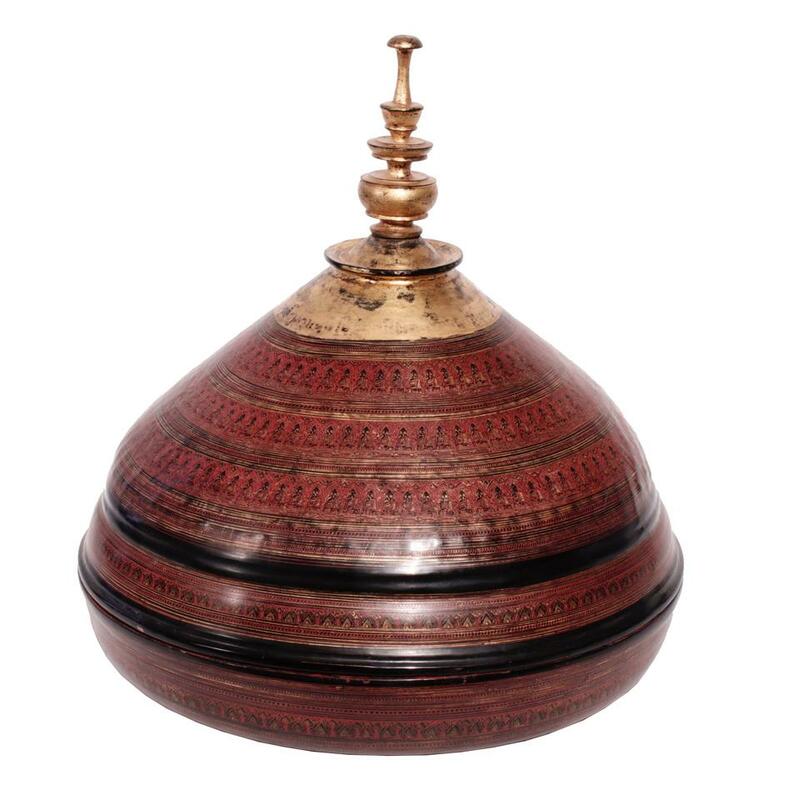 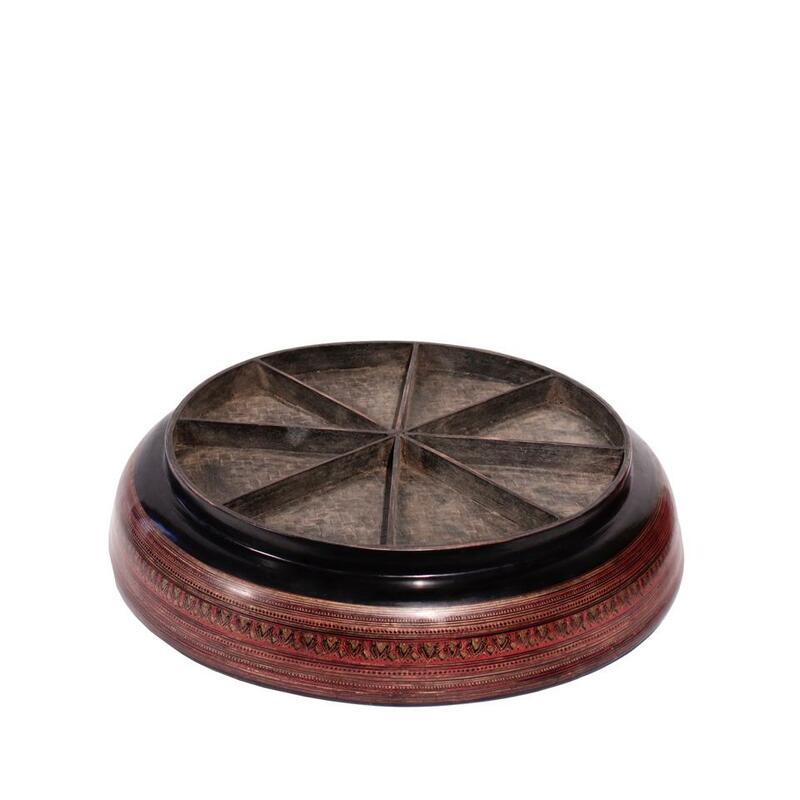 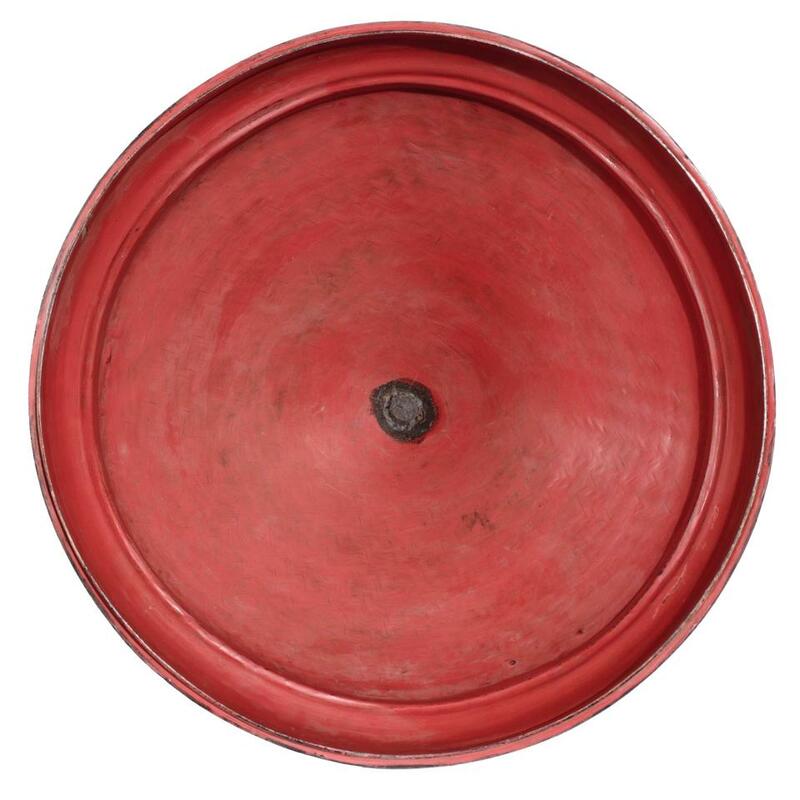 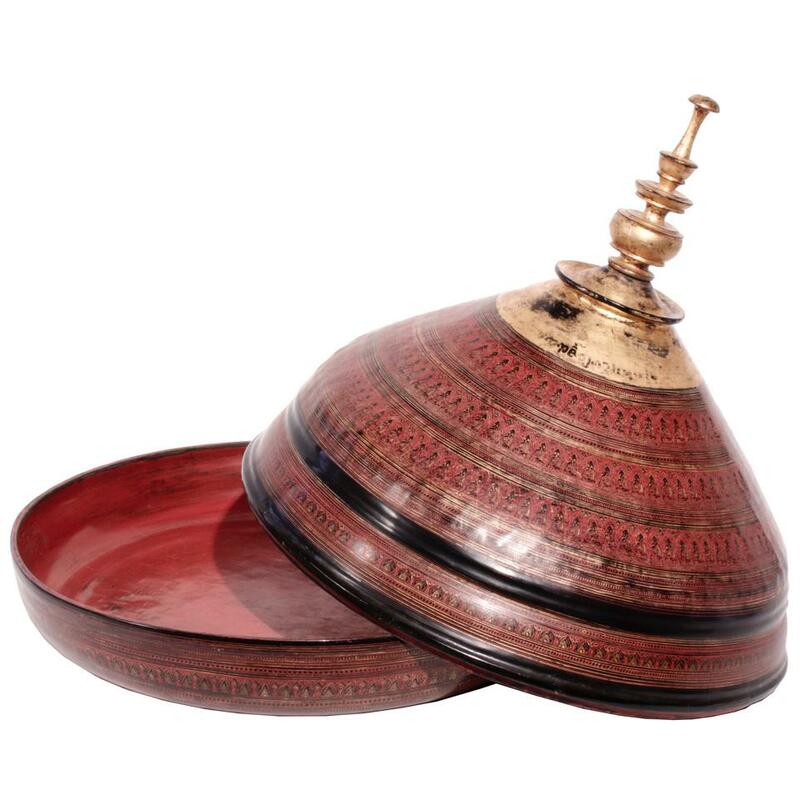 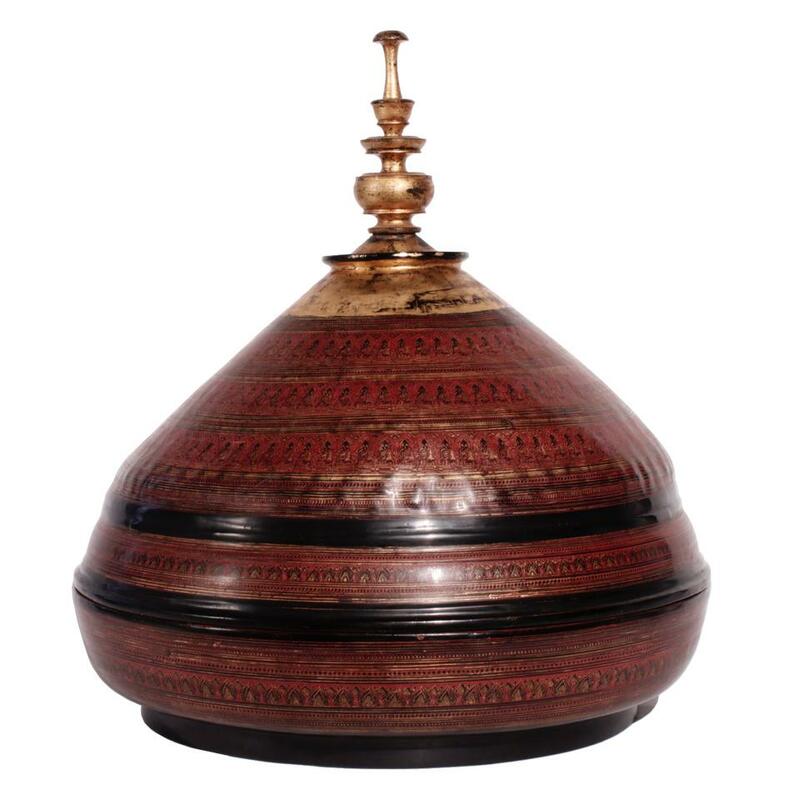 Pagan Daung-baung, an unusual incised lacquer temple food offering tray and cover , the conical cover having a spire finial, red and black lacquer layers with gold leaf over a basket weave base. 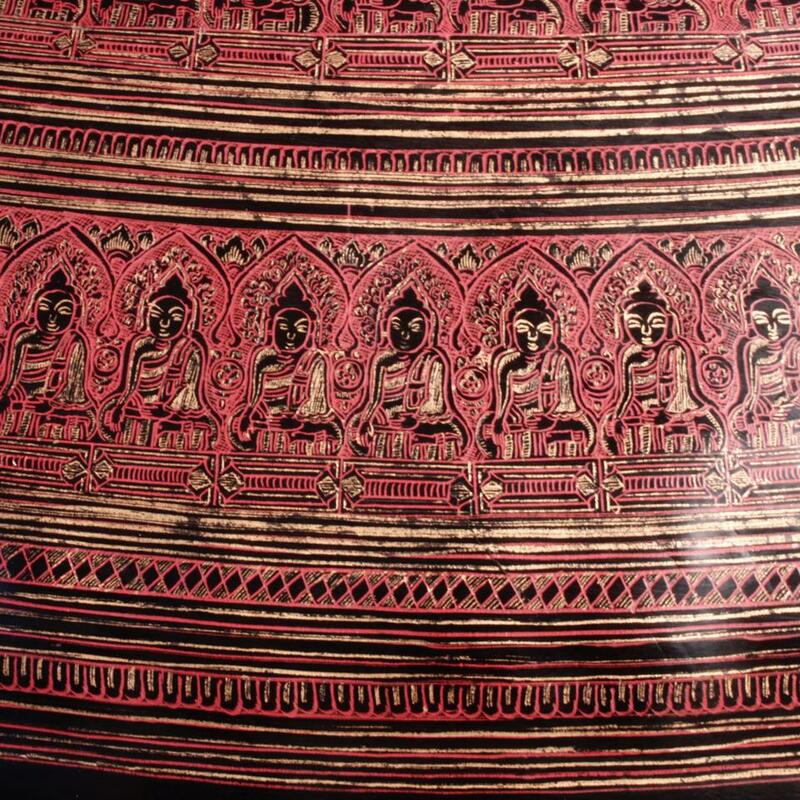 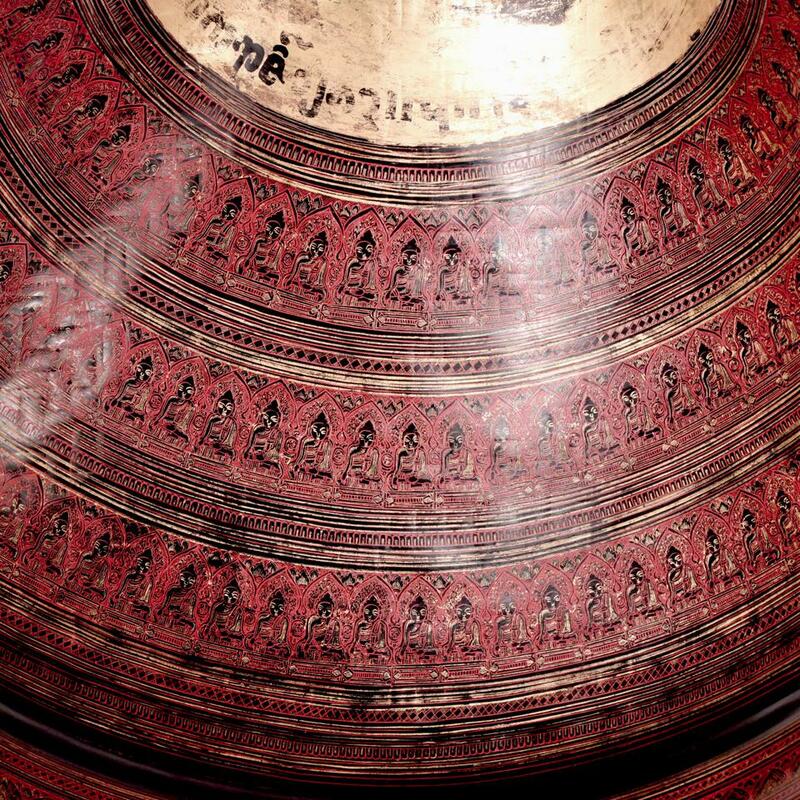 The detailed incised decoration of concentric decorative bands, the main band on the base of overlapping lotus petals, repeated on the the lower band of the lid, then topped by three prominent bands depicting rows of seated Buddha images in the earth touching position with mandorla and lotus petals behind them, 229 Buddha images in total. 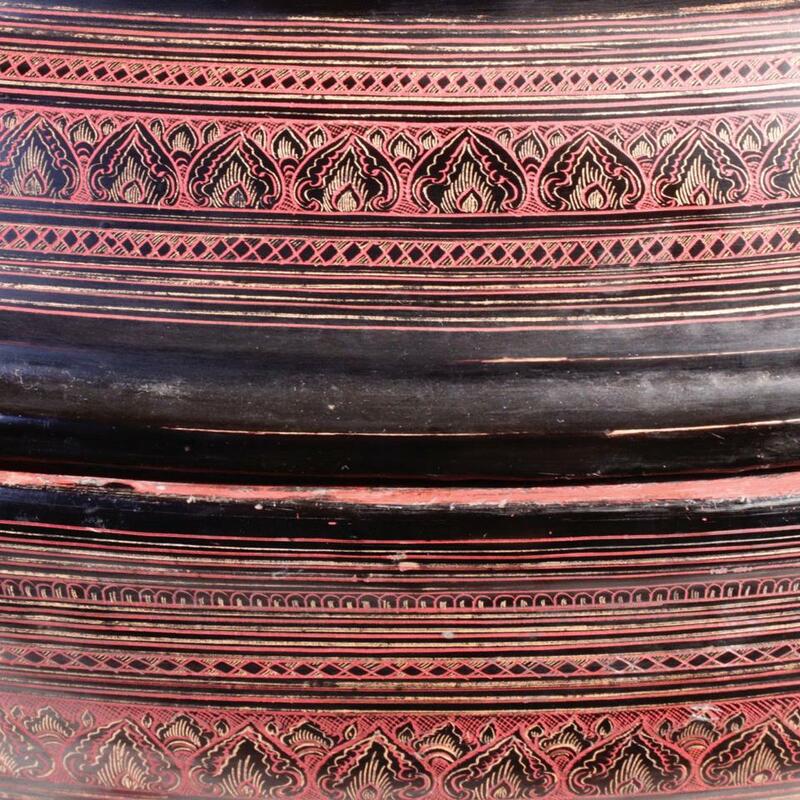 Traces of the original inscription in reserve of the gold leaf on the top near the spire composed of three protruding curvilinear forms. 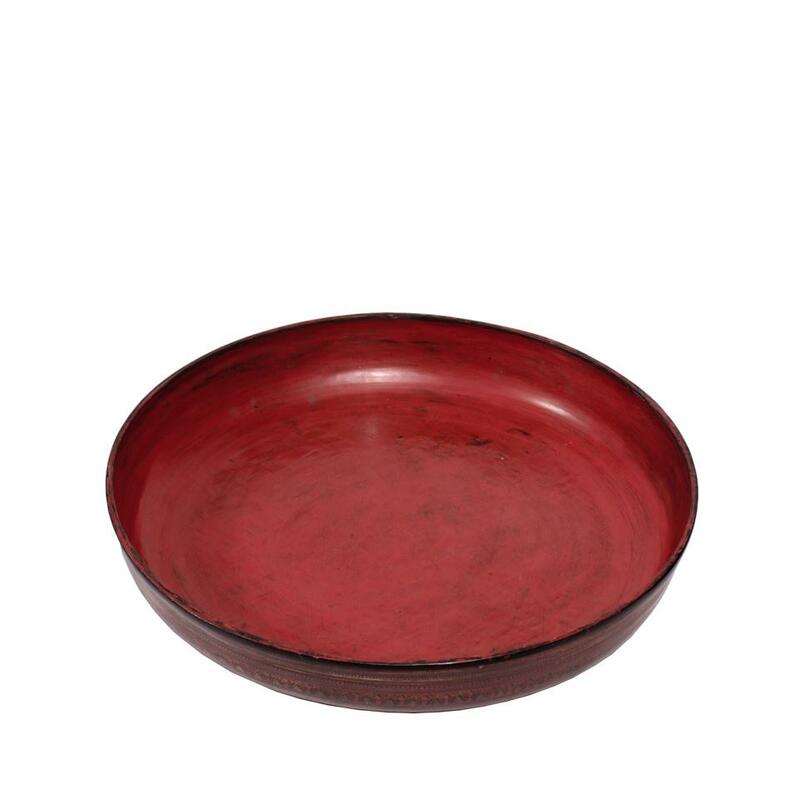 Minor signs of wear and use otherwise fine condition. 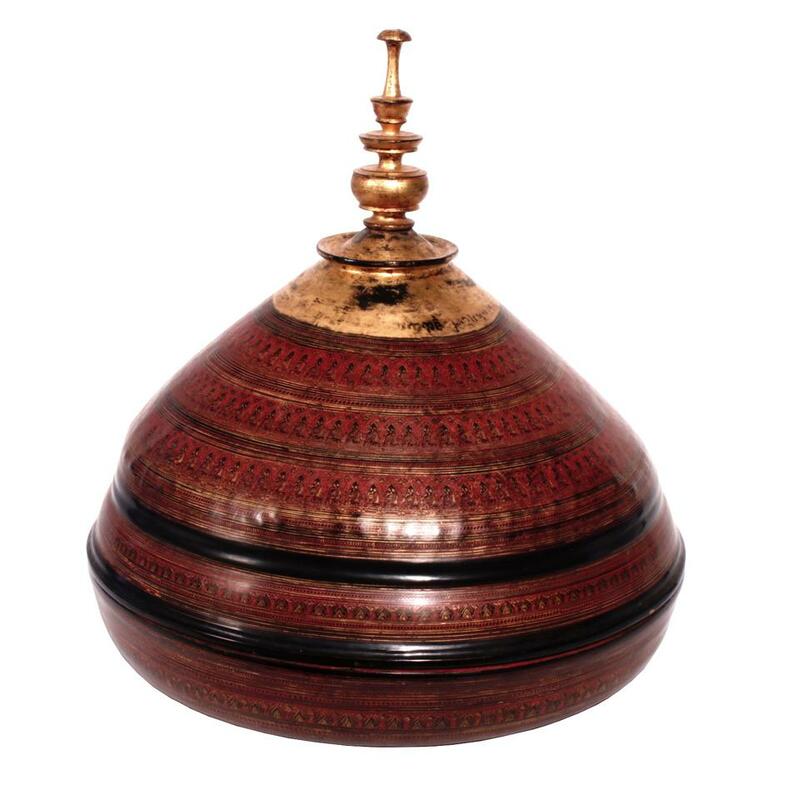 19-1/2 inches high x 18-1/4 inches in diameter (49.5 cm x 46.5 cm). 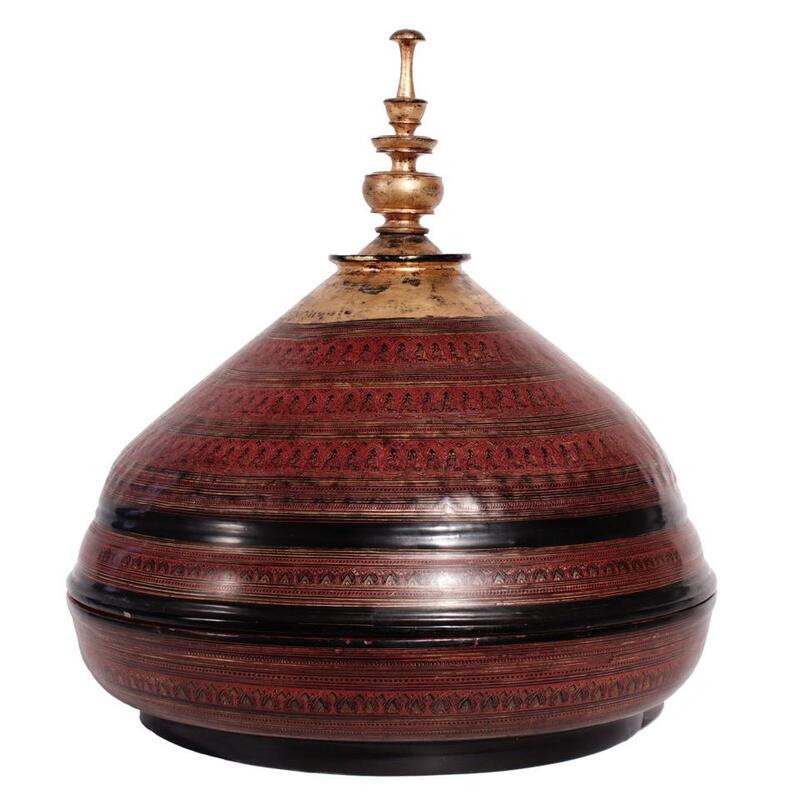 Ex Collection: Kerry L. Brougham, California.